At GrabAGun, we know big part of owning a firearm is carrying it around safely. Whether you need a belt for compliance with the concealed carry laws in your state or you just want a more comfortable way to tote around your gun, GrabAGun has a belt in our wide selection that is sure to suit your needs. If you are a fan of a particular brand of hunting gear, peruse our catalog of Blackhawk!, Remington, Woolrich, and more. If you are looking for a belt that is sturdy and can take all kinds of wear and tear, check out our selection of leather belts. Or, if your gun is heavy and weighs down your pants, you may want to find a heavy duty belt. 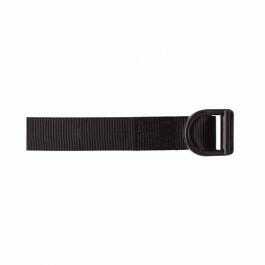 We also have lightweight belts for carrying around smaller firearms or for situations where you need to be highly mobile. Many of our belts are made especially for shotgun owners, and have handy spots for shotgun shells to give you easy access as you move toward your target. We also have some that are heavy duty, but feature carved leather or signature stitching to highlight both form and function. Our belt selection is extensive because we know that every hunter and firearm owner is different. You may choose your belt based on the strength of the buckle, be it metal, plastic, or Velcro, or you may choose to go with something decorative to show off your personal style.